chassis in cabinet #2, six in cabinet #3 and two in cabinet #4. The device on top of cabinet #4 is a LocalTalk network repeater. 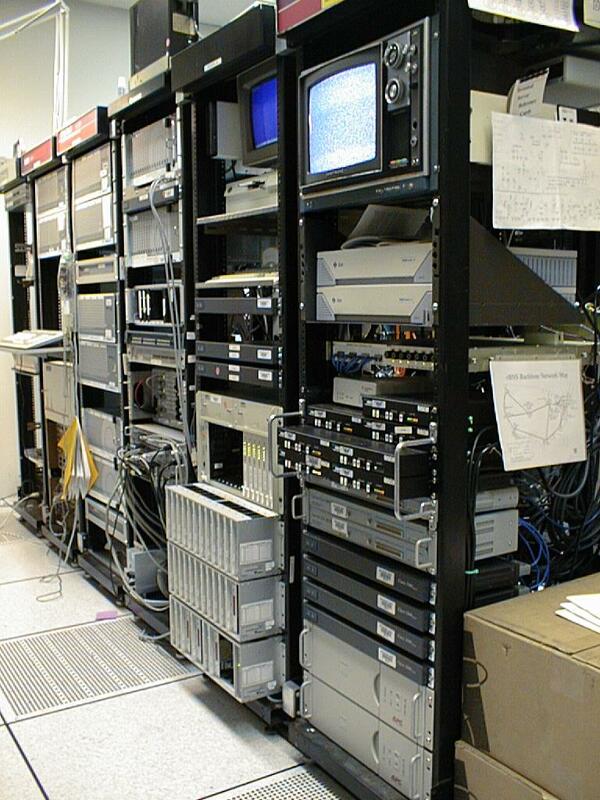 The top of cabinet #5 is holding equipment to our remote locations. The bottom of this rack has an early food service meal card network. Cabinet #6 held the equipment for our Metricom wireless modem colaboration. replace more recently with deeper enclosed cabinets.